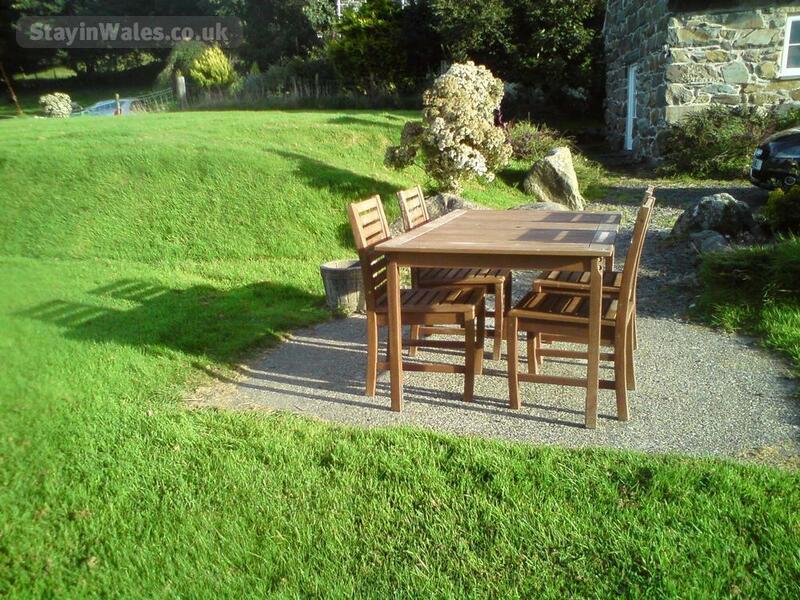 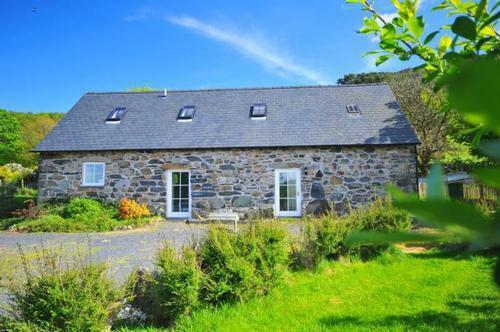 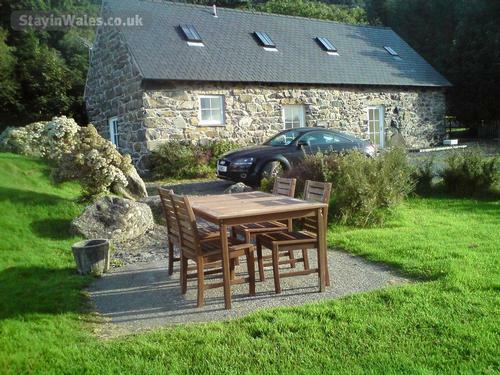 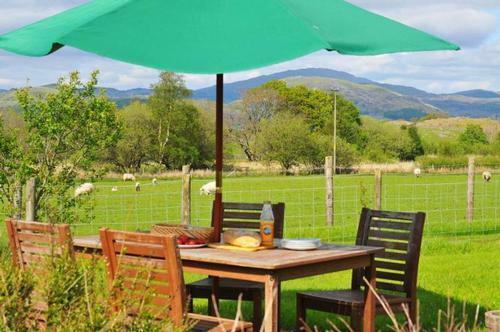 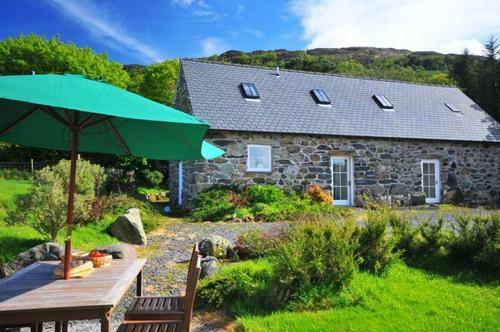 Arthfan is a recently converted barn in a tranquil setting with breathtaking views of the Cader Idris and Arran mountain ranges. 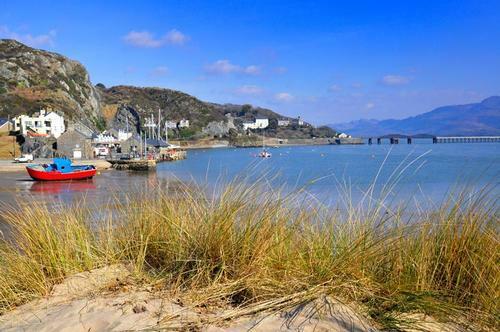 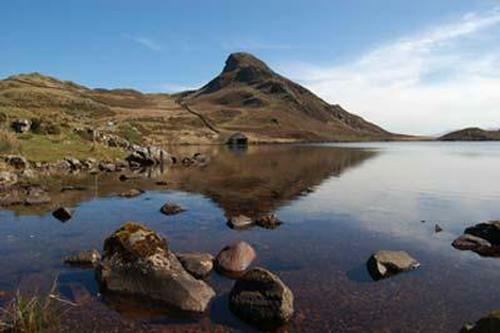 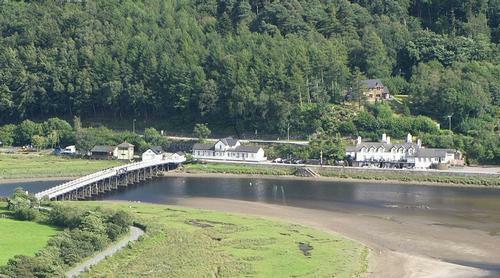 Set in an area of outstanding natural beauty, it is within easy reach of the many attractions offered in this part of Wales. 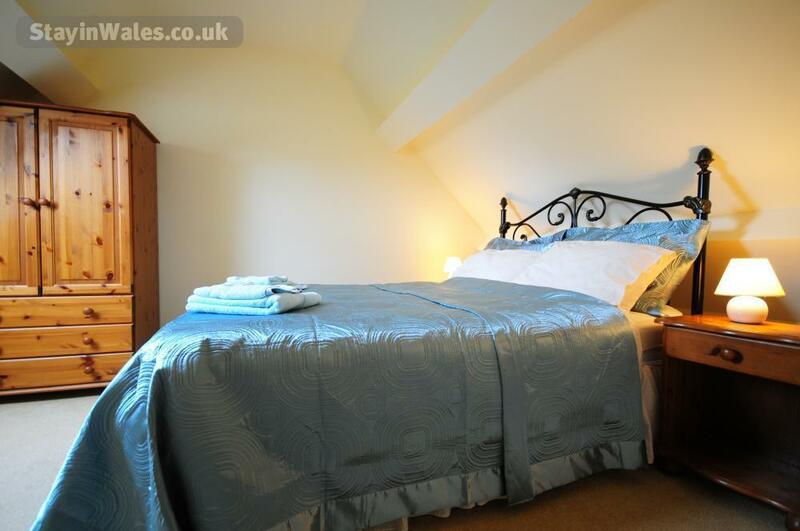 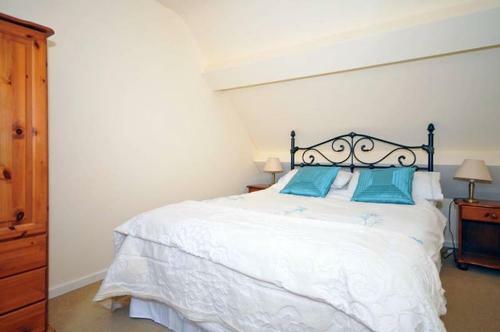 The cottage has two bedrooms - a twin and a double, both on the first floor, sleeping a maximum of four, plus travel cot on request. 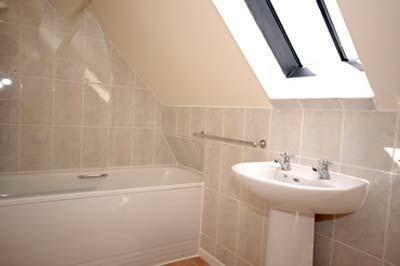 The bathroom has a wash basin, toilet and bath with shower over. 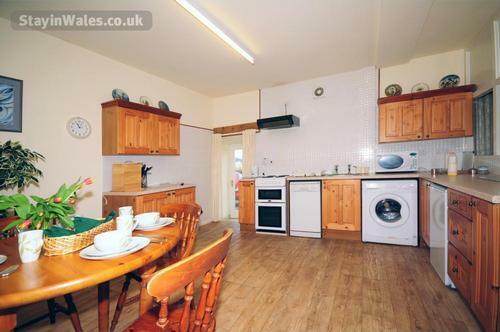 Open plan kitchen with dining area and lounge. Fully fitted kitchen equipped with electric cooker, dishwasher, microwave, and fridge with icebox, washing machine and table sitting four persons. 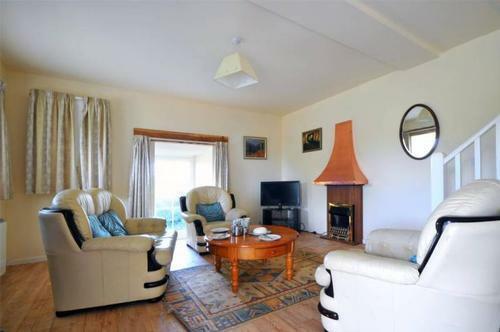 The lounge area has an electric wood-burning style fire, cream coloured leather three piece suite, television with DVD player, antique dresser cupboard unit and French door to the grounds. 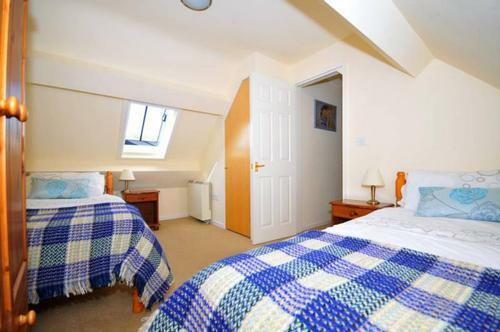 Heating is by electric storage heaters throughout. 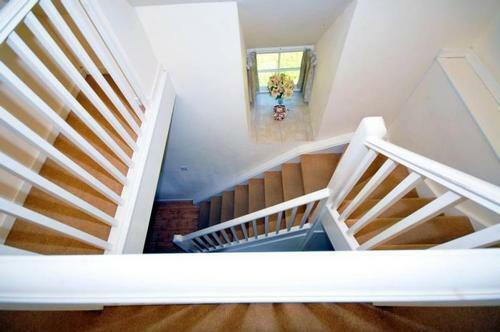 Water to property is supplied from spring which is filtered through ultraviolet filters. For those interested in the Mach Loop we are within short driving distance to the Cad North.